We've had a pretty busy few weeks. Brian had spring break and we filled it to the brim with family time, study time (he has boards coming up again), and some adventures! 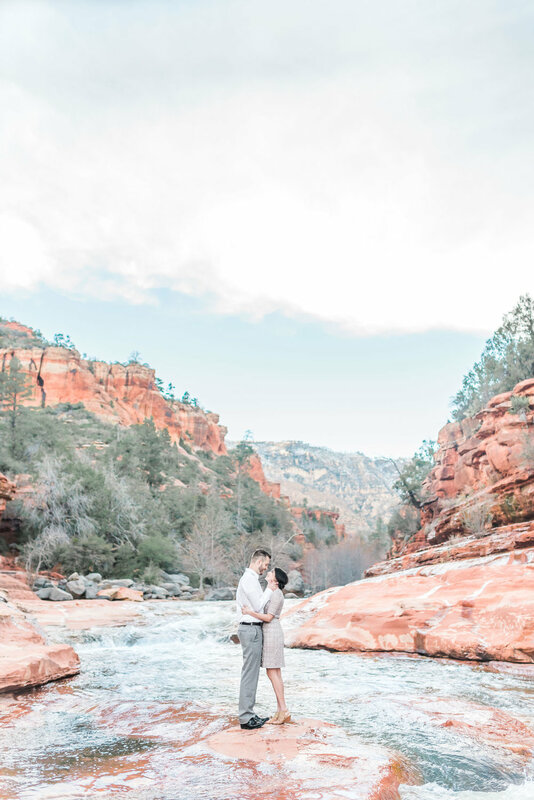 We had been wanting to go to Sedona for a loooong time and I was thrilled when Adrie and Logan wanted their photos taken there. Our three year old threw up all over the car on the way there, but we didn't turn around and I am SO glad! 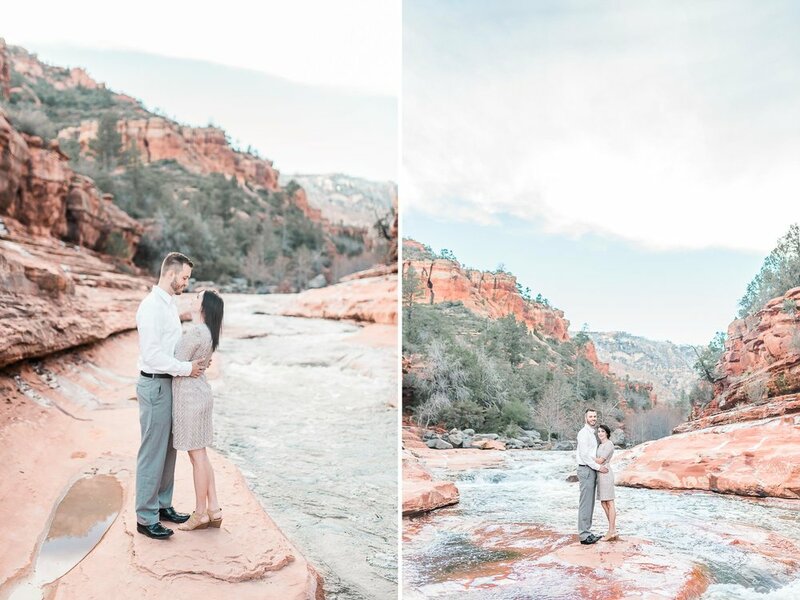 The scenery was incredible, the weather was perfect, and these two... WOW! 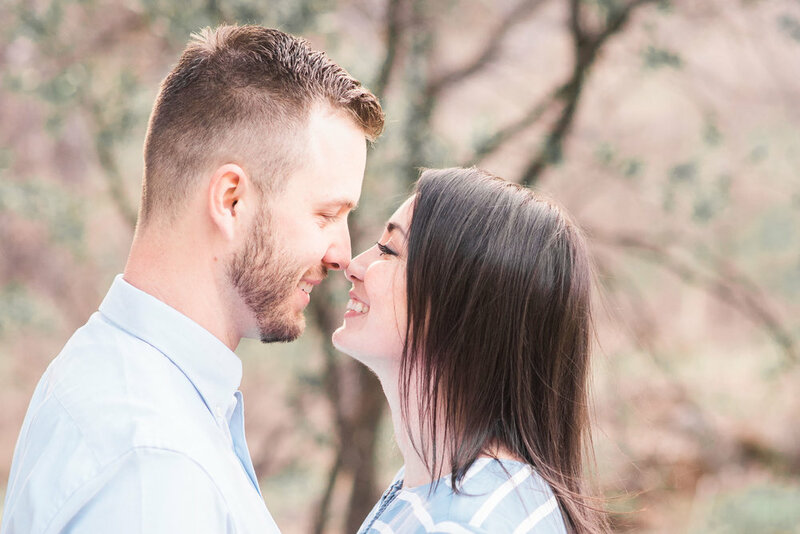 They are genuine, adventurous, hilarious, gorgeous, and obviously in love with each other - what more could you want?! 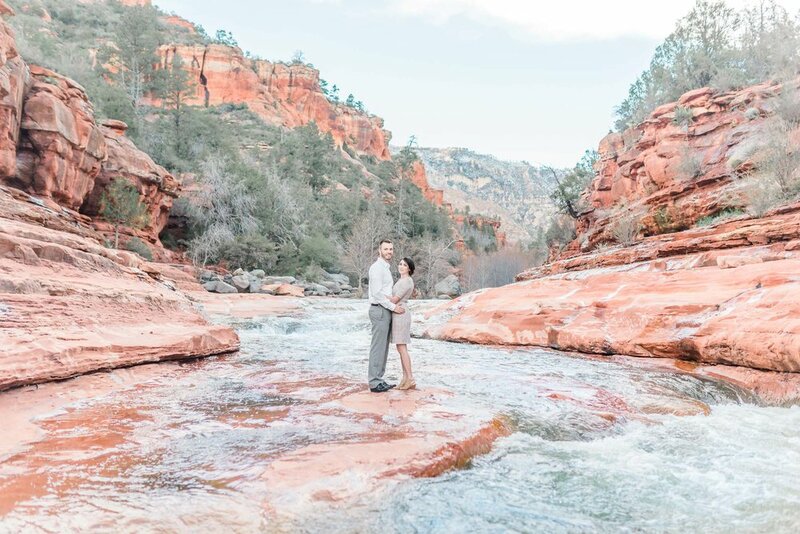 We had so much fun and they were troopers when I asked them to stand in the middle of the river, ha!